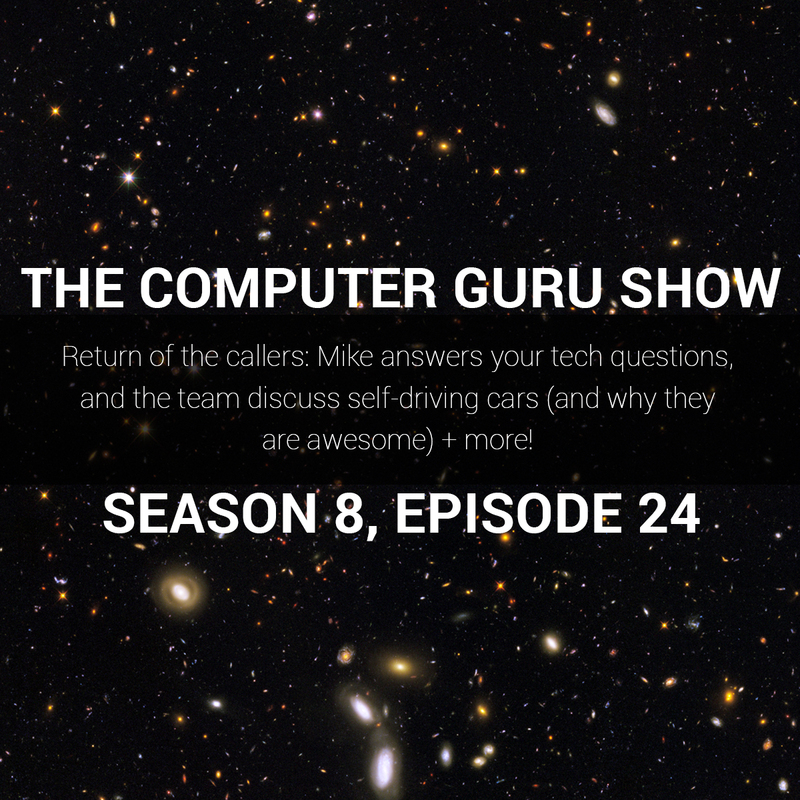 Podcast S8E24 – Callers gonna call, Self driving cars without steering wheels (gasp! ), the $35k Tesla, and more! Callers gonna call, Self driving cars without steering wheels (gasp! ), the $35k Tesla, and more! Mike, Rob, and Tara talk about all sorts of cool stuff (and even some interesting things) on this week's episode. Google's trying to get legislation passed that will allow self-driving cars to operate without a steering wheel or pedals (which is awesome), the new Tesla which will only cost $35,000, and much more. As usual, Mike also takes your questions and solves your technology problems.